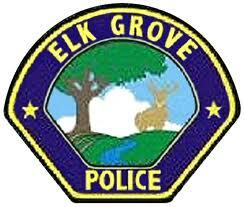 Elk Grove Police arrested six suspects on DUI charges for the 72-hour period ending at midnight last night. Among the notable incidents was the arrest early Saturday morning of 27-year old Manuel Valdes of Elk Grove. Valdes was contacted by officers after the car he was allegedly driving hit a fixed object near Sheldon Road and Wilton Oaks Court. During the course of their investigation officers determined that Valdes was driving the same car that was earlier involved in a collision with a vehicle that resulted in an injury to the other driver. After being medically cleared, Valdes was arrested and booked into the county jail. Also arrested was 35-year old Johnny Negrion of Sacramento, who as a known probationer, was stopped Friday night near Big Horn Boulevard and New Country Drive. Upon contact, Negrion allegedly displayed objective signs of impairment and failed a filed sobriety test. Negrion was also arrested for possession of narcotics and booked into the county jail.